McCombs and Washington have been business partners for more than 25 years, running Executive Sweet, parties for women. Both women have also been involved in a wide range of LGBT and African-American community efforts. 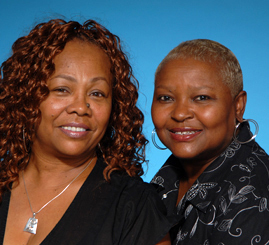 Both women are in the Chicago Gay and Lesbian Hall of Fame.